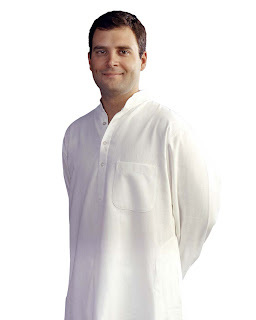 babus of india: What’s if Rahul Gandhi decides to be the minister for rural development or health? What’s if Rahul Gandhi decides to be the minister for rural development or health? BUREAUCRATS in various ministries in Delhi have indulged in gossips during the last few days whether Congress icon and Prime Minister in-waiting Rahul Gandhi would accept Dr Manmohan Singh’s offer to join his cabinet, and what will it mean if he becomes the minister in their very own ministry? Gandhi junior has reportedly declined Dr Singh’s offer to take up a ministerial berth as the young leader still prefers to be on the organizational side rather than working in one government department. If sources in 24, Akbar Road, are to be believed, Mr Gandhi will take up ministries such as rural development or health if senior Congress leaders finally succeed in persuading him to be a minister. In fact, rural development is the nodal ministry implementing his pet project of National Rural Employment Guarantee Act (NREGA) which is likely to be expanded further with fresh infusion of resources in the next general Budget. Those who have worked under Mr Gandhi during the last few years feel he would take up only those ministries which would enable him to relate to aam aadmi and inclusive growth. For those efficient bureaucrats who may get a chance to work closely with Rahul Gandhi could turn out to be the most influential babus in Delhi despite the fact that they don’t work in not-so high profile ministries in North Block or South Block.